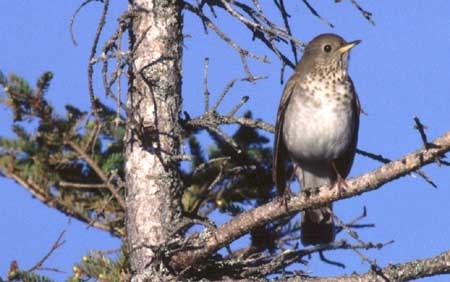 Bicknell's Thrush is of concern because of habitat change, low numbers, patchy distribution, and low reproductive potential. However, little is known about this secretive species. It breeds in Quebec, New Brunswick, Nova Scotia and the northeastern United States. 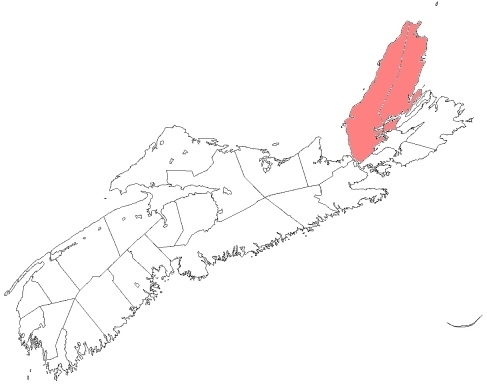 In Nova Scotia, it is currently restricted largely to Cape Breton Island, although historically it was found on a few offshore islands in the southwest part of the province. Habitat has been altered in Nova Scotia over the last century by infestations of spruce budworm and forest management practices.